Dundee United caretaker manager Laurie Ellis admitted it had been a difficult week at the club following the departure of Ray McKinnon. Boss McKinnon was sacked on Tuesday after a disappointing start to the season, with the 2-0 defeat to Inverness last week the final straw. Ellis will take charge of the side against Dumbarton on Saturday and he is trying to focus his players on what they need to do on the pitch. He told Arabzone: "It's been a really difficult week after what unfolded after the game on Saturday. "It was a sombre atmosphere on Monday morning, and we got the players together and back on the training pitch just trying to focus on the game this weekend." He added: "Ray is a good friend of mine and I'm grateful for what he's done for me. In this situation we've got to be professional, we've got to look towards Saturday but certainly it was a really difficult few days and still is." A win against Dumbarton could see United rise to third in the table, and Ellis refused to be downbeat about the slow start. He said: "We're in a position where - with a couple of results - we can get the club back to where we aim to be at this stage of the season." 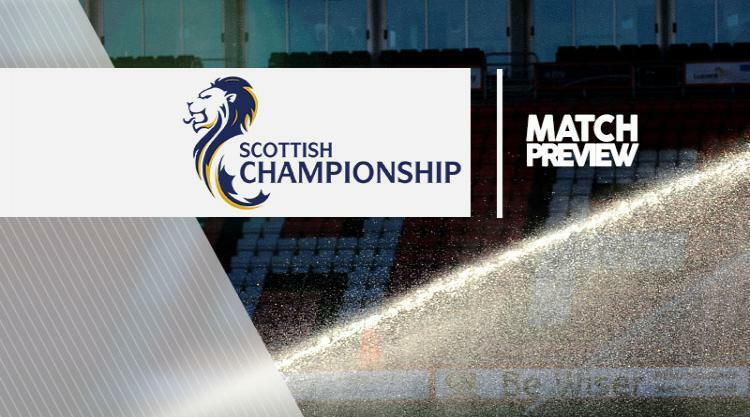 League leaders St Mirren host Morton, while third-placed Livingston host Brechin, who are marooned at the bottom of the table on just two points. Dunfermline could displace leaders St Mirren with a win over Inverness, and manager Allan Johnston is expecting a different side to the one they beat 5-1 earlier in the season. He told dafc.co.uk: "If you look at their last four games I don't think that they have lost a goal. It just shows you that they are defending a lot better. "They have a lot of guys who have played in the Premiership so it is going to be a real test but it is one that we go into full of confidence." Paul Hartley is expecting a tough challenge when his Falkirk side travel to Queen of the South, despite an upturn in fortunes since his arrival. "It's always a tough place to go, Gary has done a terrific job there," he told the club's official website. "They have got some really good players - particularly at the top end of the pitch. "We had a bad result against them last time so that's something we've got to try and sort out. "Hopefully the players have taken confidence from last week because this is a big game for us. We have to start picking up three points now - they carry a threat, but now we have to make sure that we do too."